> News People News Top Team! C-TEC has restructured its UK sales team to facilitate further growth and expansion. Simon Griffiths is our new Northern Fire Account Manager, replacing Brian Foster, recently promoted to the newly created role of UK Sales Manager. 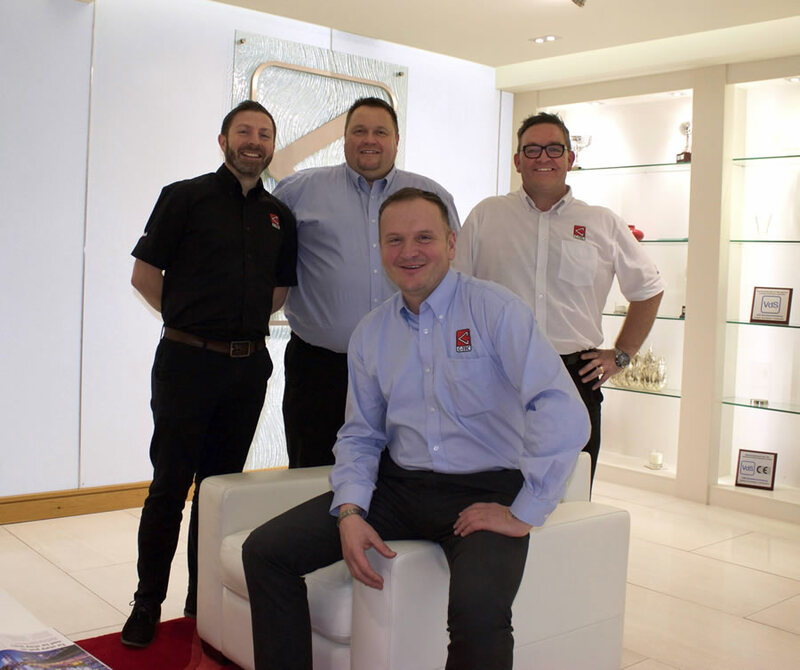 With over 20 years’ experience at Honeywell, Cormeton Electronics and Reflex Systems, Simon’s brief is to create new business and provide technical support to our specialist fire alarm accounts and specifiers in the North and Scotland. We’ve also appointed Jeff Pankhurst as our South East Fire Account Manager. Previously employed at Klaxon Signals as a Business Development Manager, Jeff is a qualified fire alarm systems engineer with experience of working on major installation projects in London including The Shard. Craig Swift, formerly one of our Distribution Account Managers, is our new South West Fire Account Manager and Andy Turner retains his position as C-TEC's specialist Midlands and Ireland Fire Account Manager.